Map to Jesse Trice Community Health Center here. 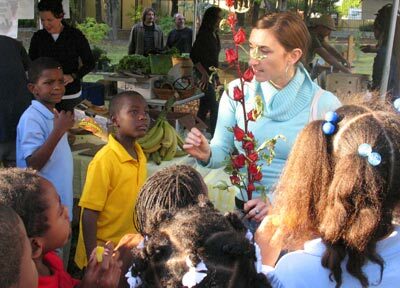 Nestled in a park in North Miami-Dade County is a new grower-supported farmers market. You could say that it’s the best kept secret in town. 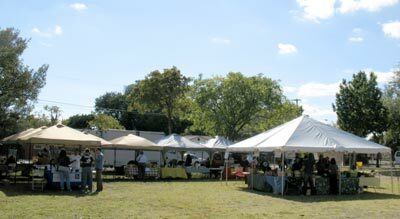 On Thursday afternoons from noon to 6 pm, a steady trickle of neighbors and foodies have been finding their way to the Liberty City Farmers Market located at the Belafonte TACOLCY Center park on NW 62 St and 8th Ave. The shoppers come for the wide assortment of locally grown organic, sustainable (and some conventional) produce from five different farms and other local growers, set out under a big tent in the middle of the park. Fruits and vegetables are just as good and fresh as what you’d find at other grower supported markets in town. On a recent visit, I found Melissa Contreras, market manager and founder of Urban Oasis Project, under the big tent spraying fluffy heads of green leaf lettuce with water to keep them fresh. The lettuce, zucchini, pattypan squash, dill, spring onions, and collard greens (to name a few items) were trucked in from Worden Farm. Art Friedrich, Urban Oasis co-founder, was excited to be at market and proudly pointed out papayas he had grown in his yard. He said that backyard gardeners were welcome to come sell their extra crops at the market. A handful of other local food vendors and artisans are also at the small market. Among them, you will find Lake Meadow Naturals fresh eggs and honey sold by Seriously Organic (the same vendor also at the South Miami Farmers Market on Saturdays and Pinecrest Gardens Green Market on Sundays). You can get Pan De Vida, a delicious whole wheat bread with raisins baked by Juliana, and Georgia collards from Thomas’ Produce, and Higher Heights natural body care products crafted by OmeJah. Fans of Nature Boyz juices will be glad to find Clive and his juicer making fresh squeezed drinks while you wait. The last time I was there, local chef Aria Kagan gave a cooking demo using ingredients from various vendors. After school teacher Erin Healy of Youth L.E.A.D. guided a group of kids around the big produce tent, showing them the different fruits and vegetables. Erin Healy gives the lowdown on roselle. So a number of non-profits big and small banded together to support the new Liberty City Farmers Market with the “Breaking Ground” initiative. 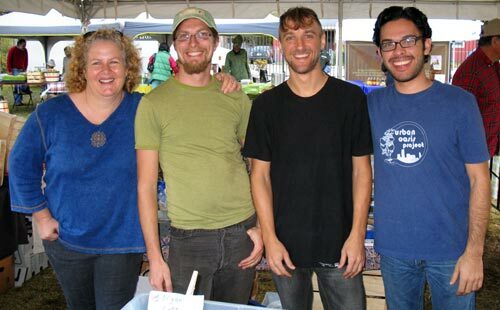 * The organizers were inspired by last season’s successful Roots in the City Farmers Market five miles to the south. To make this particular market actually happen, Urban Oasis Project was tapped for their leadership and collective food raising skills. 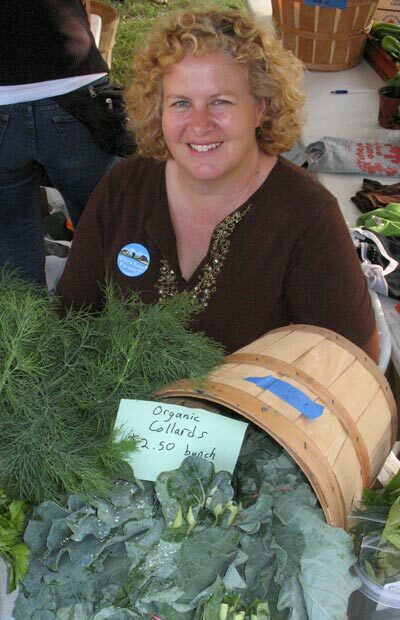 Melissa Contreras was hired as market manager, based on her market experience while working for Redland Organics last season. She takes local food very seriously. Almost half the food for sale was fresh picked that morning from several backyard microfarms tended by members. 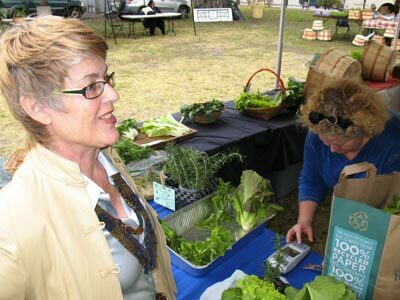 Linda McGlathery found out about this market through the Food Policy Council. Part of that belief comes as support from the Health Foundation of South Florida, which contributed $1500 to match funds for SNAP/EBT purchases. (If you buy $10 worth of food with SNAP, you get an additional $10 credit good for purchases at the market.) Private donations to maintain the matching funds program are very welcome. Gifts of $500 and over are channeled through the Health Foundation, a 501(c)3 fiscal sponsor. It passes 100 per cent of the gift to the market, and allows donors to get a tax donation. If your donation is less than $500, you may give directly to Urban Oasis, which has its own 501(c)3 application in the works. So far, about 60 shoppers come to the market every Thursday afternoon, including a growing number of regulars. Chef Michy Bernstein has come to shop, and so has Ali, the forager from Michael’s Genuine. Some people were getting Market in a Box, an assortment of produce available that day. Limited delivery is also available. Melissa is hoping the number of shoppers will grow, and is getting the word out to nearby Midtown, Miami Shores and Upper East Side. “It’s safe here,” Melissa said, when I suggested that some shoppers might be afraid of venturing into da hood. “We’re in a fenced park next to a butterfly garden and a day care.” The market is located two blocks west of the 62 St. exit off I-95, and there’s plenty of free parking inside the park and on the street. * Non-profits in the “Breaking Ground” initiative: Urban GreenWorks, Youth L.E.A.D., Belafonte TACOLCY Center, Urban Oasis Project, Jessie Trice Community Health Center, The Miami Foundation, Health Foundation of South Florida, Urban Paradise Guild, Curley’s House Food Bank, Habitat for Humanity Miami, Hands on Miami, and the African Heritage Cultural Arts Center. Very nice account of the market! We are very proud to bring the good food revolution to Liberty City and other under-served neighborhoods! We are also proud to support local farmers as they work with us to make this possible. I would like to mention that Urban Oasis Project has been all-volunteer since we began, and our first real money came from a Whole Foods Market fundraiser in August 2010, in which the Pinecrest store’s employees voted for us as their favorite project to fund. $1500 of the funds were set aside to match purchases for people using EBT cards under the SNAP (food stamp) program, giving them double their money on fresh vegetables and fruits up to $10 per market day. Health Foundation of South Florida then pledged another $1500 the day before our market opened via a personal phone call from the CEO, Dr. Steve Marcus. I am happy to report that to date, we have used several hundred dollars of those funds to match healthy food purchases for EBT users, which in itself makes our market a success! Note: temporary change of venue, only about 1 mile from old location, PLEASE come support us! As part of our mission to bring healthy, nutritious, local food to ALL, we are managing this new market which features locally grown foods! Come visit us between noon and 5pm at the Jesse Trice Community Health Center, 5361 NW 22nd Ave, Miami, FL 33142.
Credit, debit and EBT accepted! EBT doubled up to $10.00 per visit. Thursday, Feb. 2: This list plus more, please come to market to see it all! from Florida Fresh Beef in Ocala area, chicken and duck eggs from truly free-ranging birds at Lake Meadow Naturals in Ocoee. Roots in the City urban farm will provide the local-est piquant mustard greens and more! SWEET and flauntingly brazen starfruit, amazing broccoli, spicy peppers, perfumed rosemary, citrus-y lemongrass, and more. Siggi’s Organic Farm and Apiary in Horse Country will bring yummy local honey, buttery avocados from his trees, and more goodies. Note: Liberty City farmers’ market has new home until further notice! Please come support this market, which serves the under-served, an doubles EBT (food stamp) money up to $10 per visit. Credit and debit accepted!